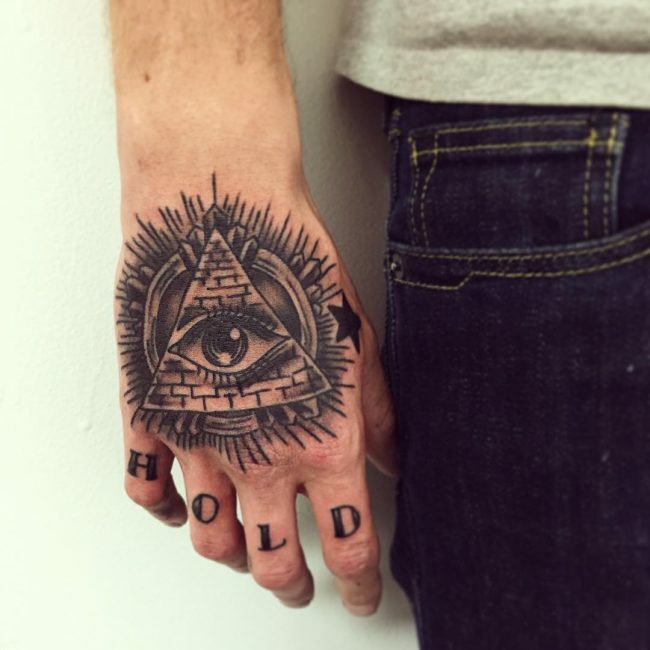 All seeing eye tattoo is one of the most controversial symbols in the modern day society. 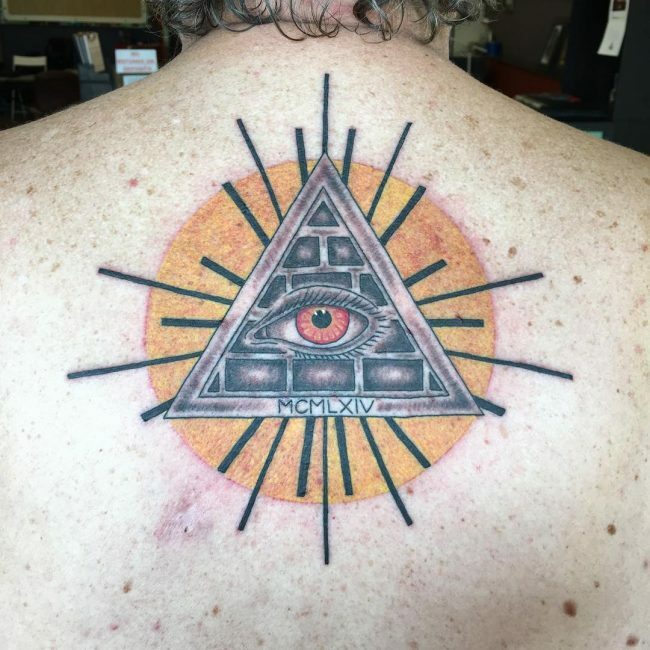 The tattoo that is traditionally characterized by an eye which is enclosed in a triangle of light rays talks about the Eye of Providence i.e., the eye of God. 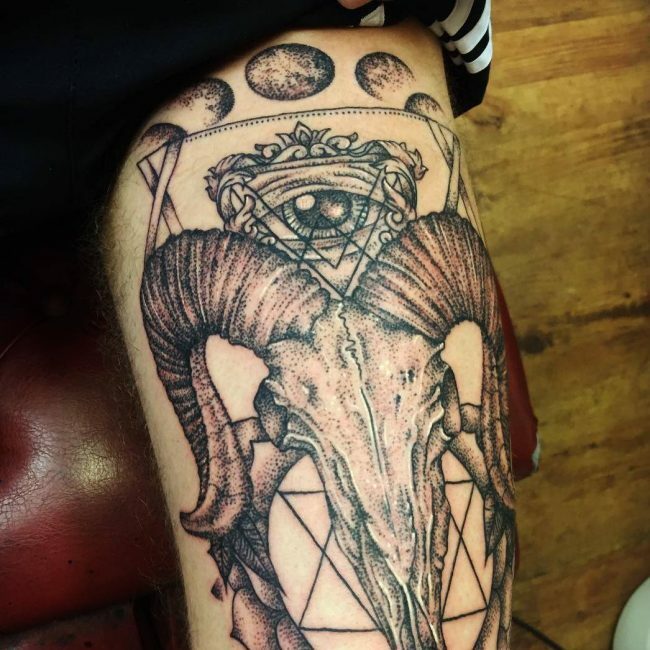 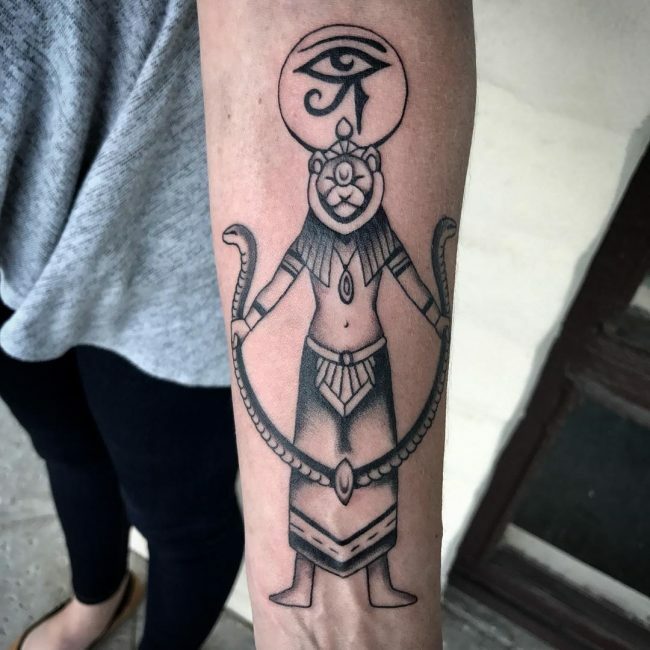 In recent times people have been associating the symbol with evil and corruption which has drawn the line of difference between the two types of believers, the ones which believe the symbol and the tattoo to be a religious one and the other who draw a satanic connection to the symbol and the tattoo. 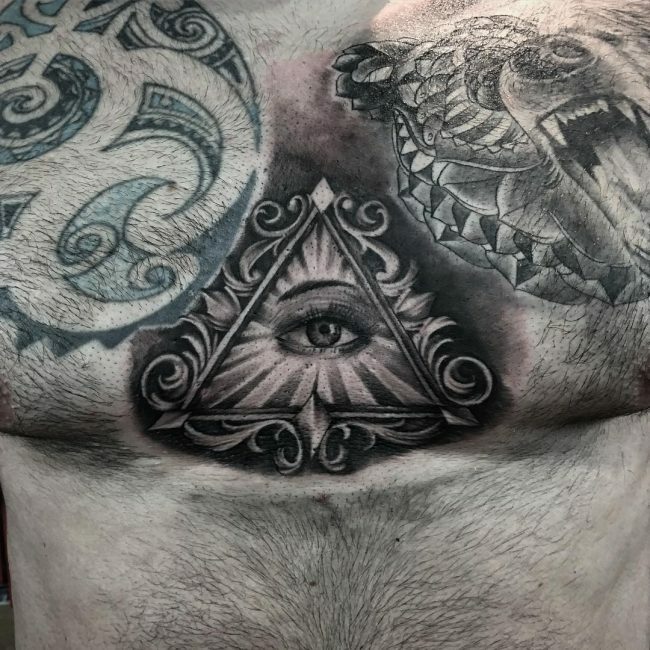 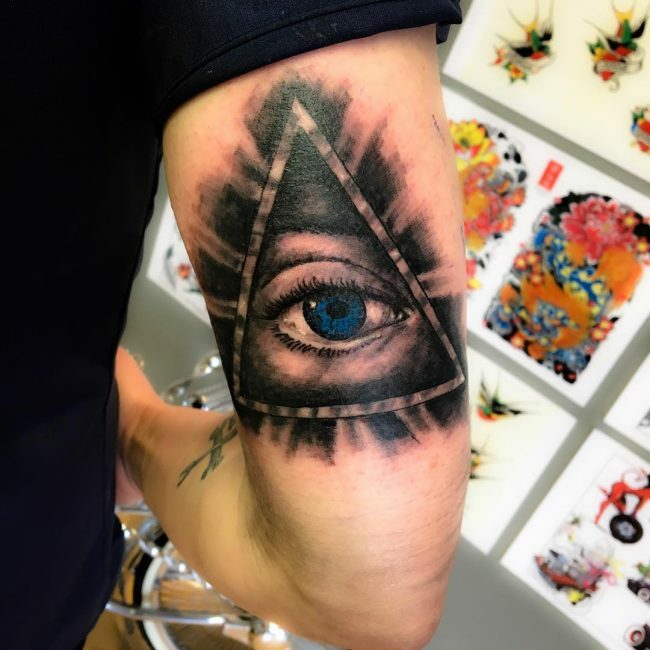 The Eye of Providence that forms the base of the All Seeing Eye tattoo is basically an ancient symbol which has been used as a symbol of omniscience. 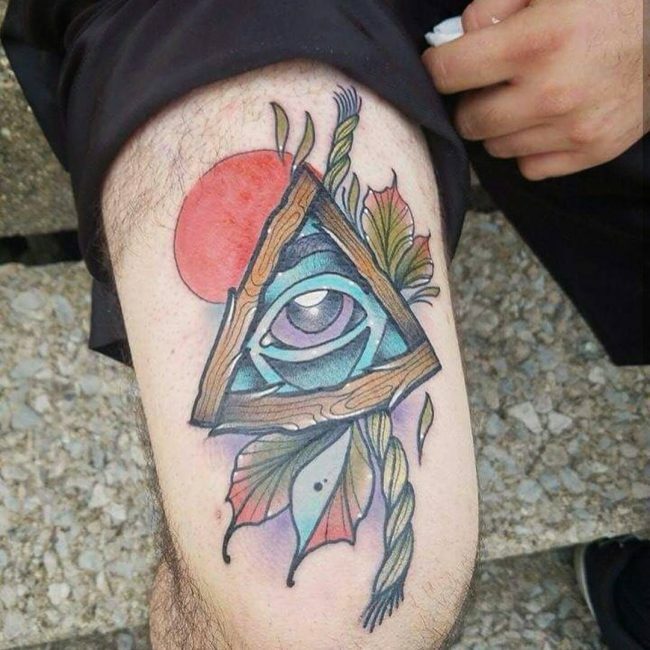 It depicts the sun that looks upon the earth from the sky. 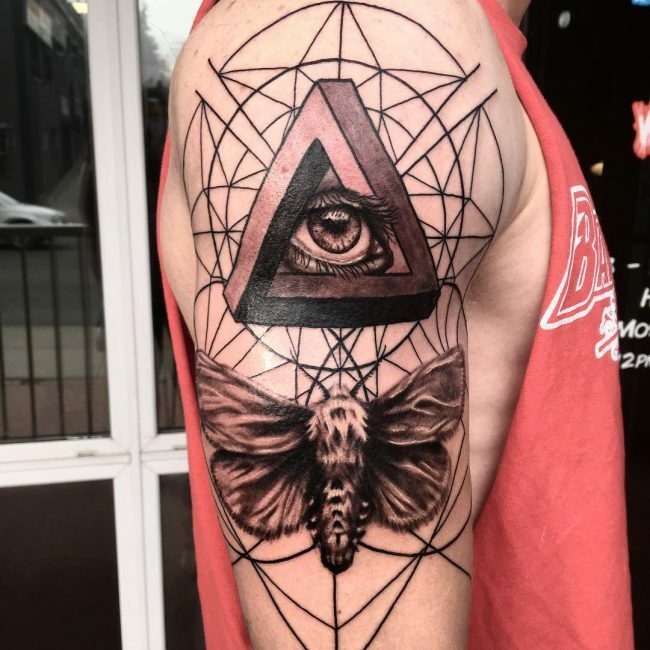 The image of the eye that is confined within a triangle represents the triune godhead. 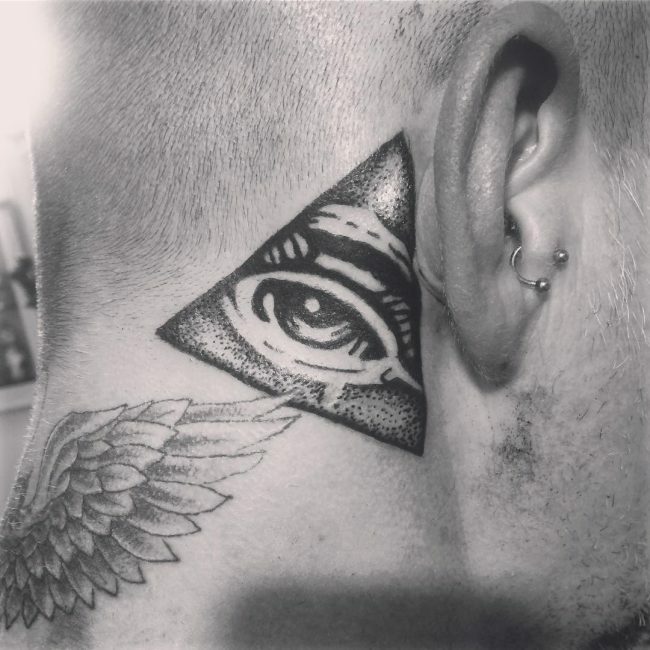 In recent years people have tried to associate the meaning of the All Seeing Eye Tattoo with evil and corruption. 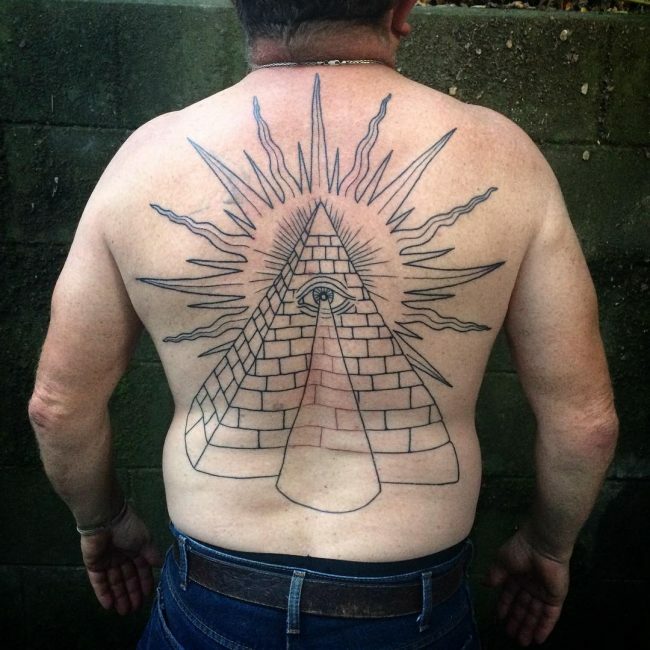 They relate the tattoo with Freemasonry and the Illuminati. 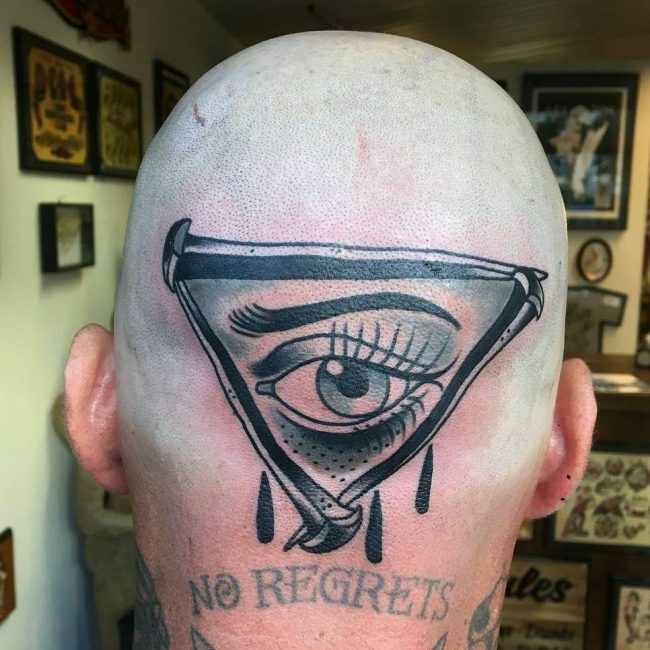 Frankly speaking, the all-seeing eye is one of those mysterious symbols which has been misunderstood as well as misused by many. 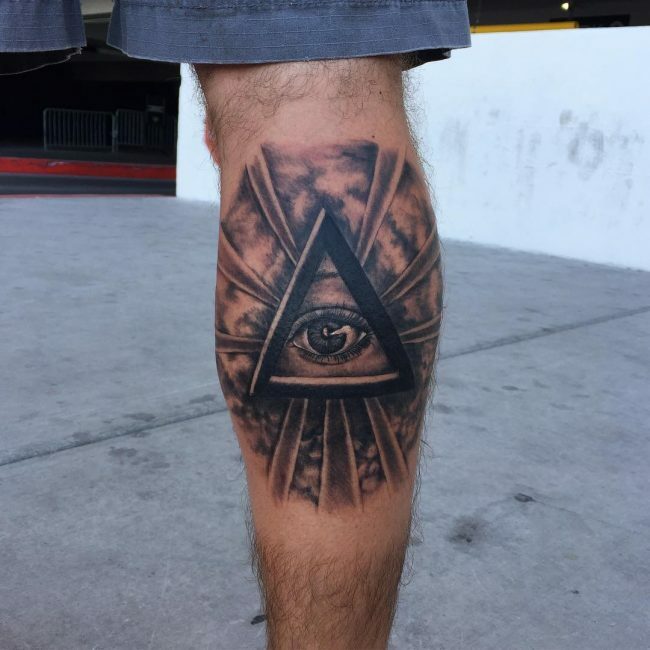 As the symbol of the Eye of Providence is found on the American dollar bill, common Americans tend to think that the source of the famous image is lying in the dollar bill only. 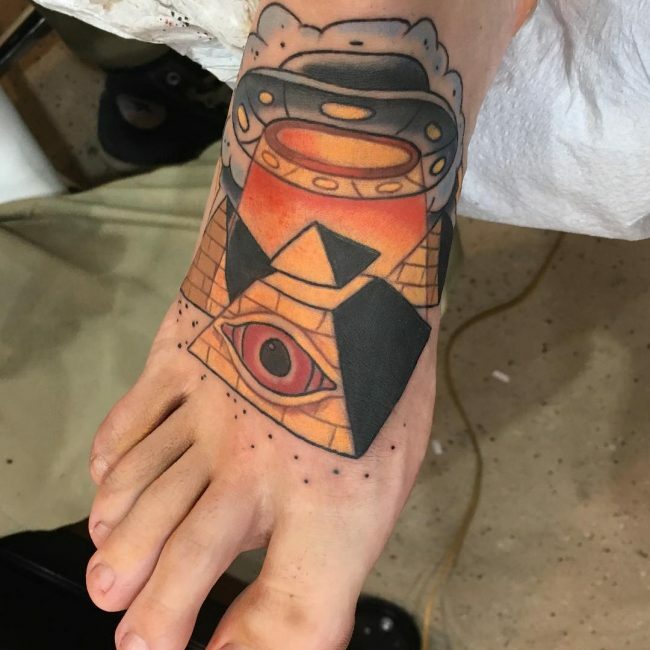 The fact is, however, something very different. 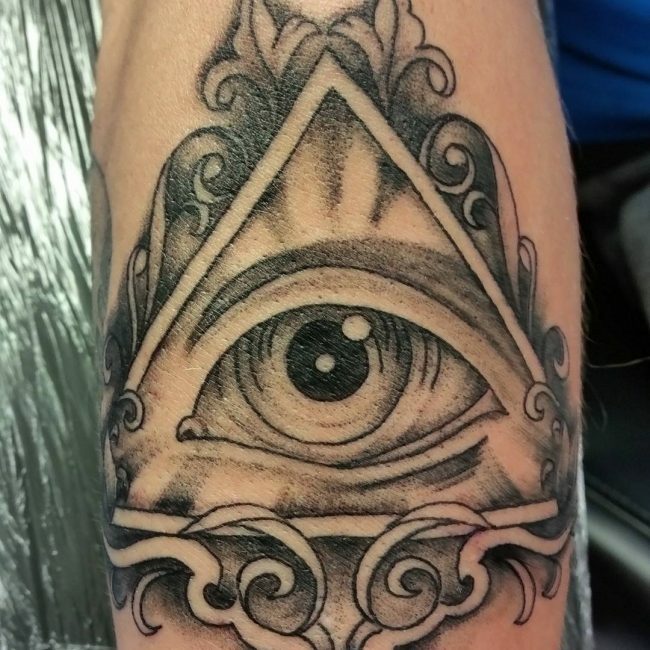 Historically the first use of the Eye was done by the Egyptians. 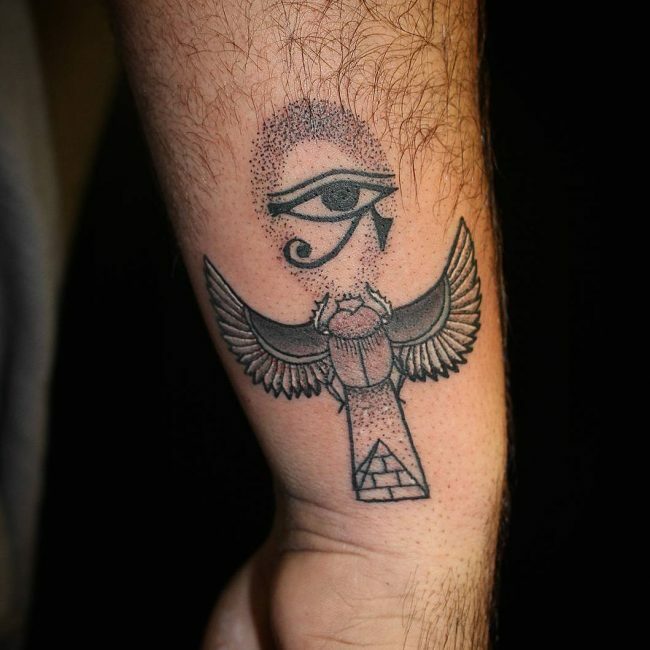 They considered it to be the eye of Horus, the God responsible for providing good health and protection. 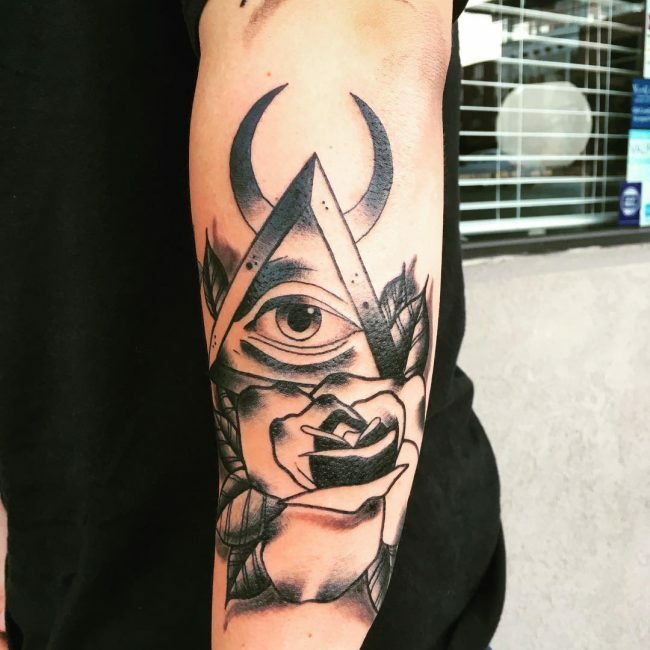 Over the years, the all seeing eye has been associated with more things beyond religion, like Freemasonry and the Illuminati. 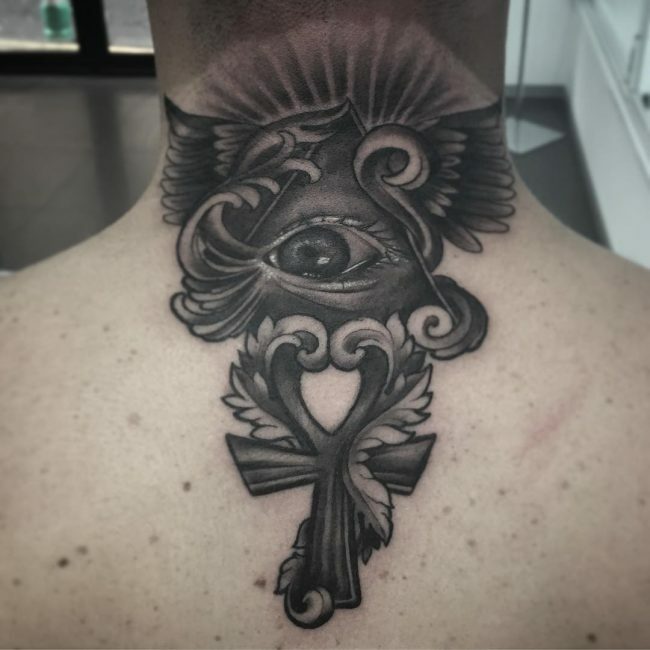 Since ages, men and women have been getting the All Seeing Eye tattoo done on different parts of their body. 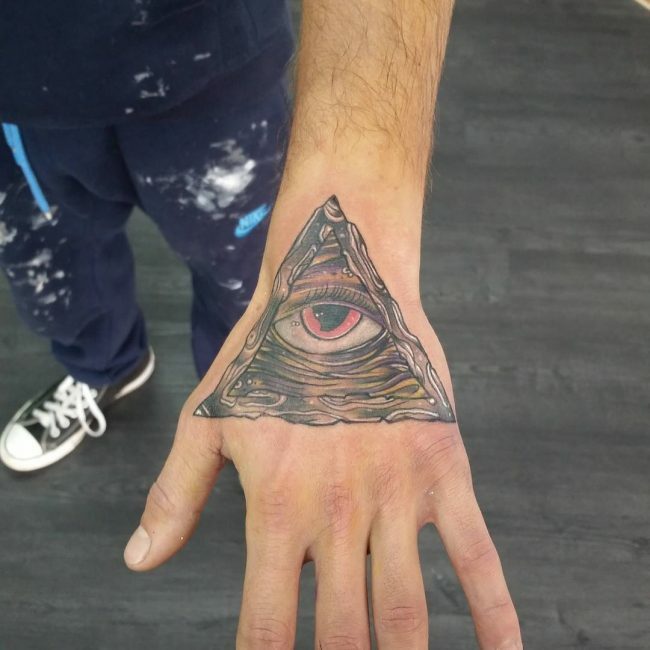 Many people tend to confuse the all-seeing eye tattoo with the tattoo of the eye of the Ra. 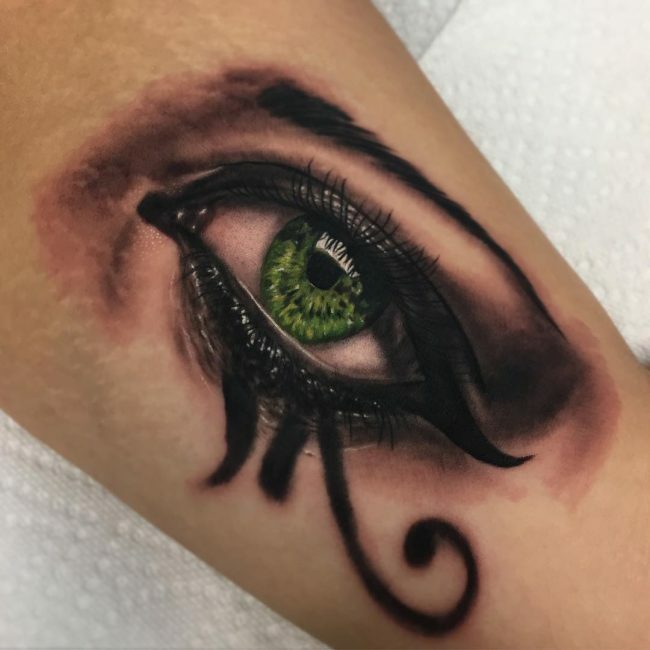 The eye of the Ra tattoo is a traditional Egyptian tattoo which bears the emblem of the traditionally styled eye of the Sun God Ra. 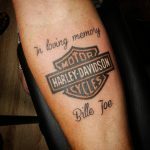 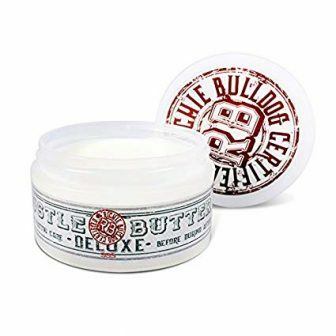 While there are many variations in the design of the different tattoos, the fundamental image remains to be constant. 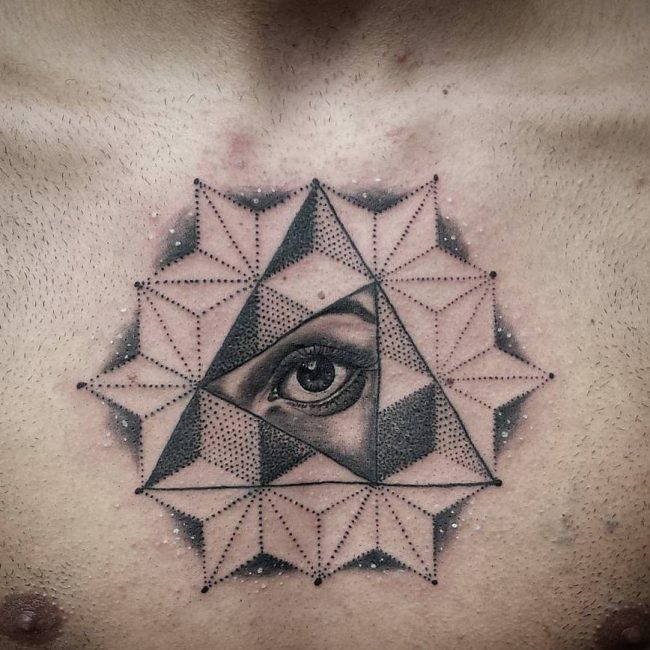 These tattoos have the imagery of a realistic eye that is enclosed within a triangle that has light rays emerging out of it. 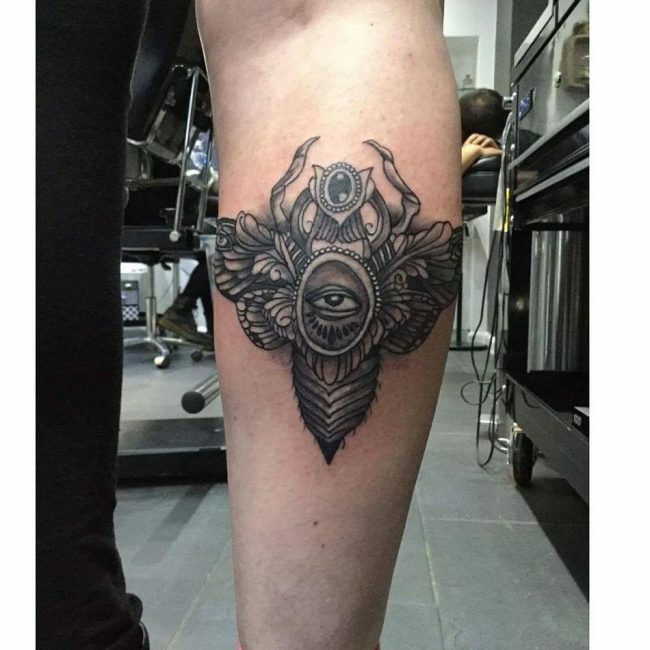 Decorations and other shapes get added to this to make the tattoo look different as well as more beautiful. 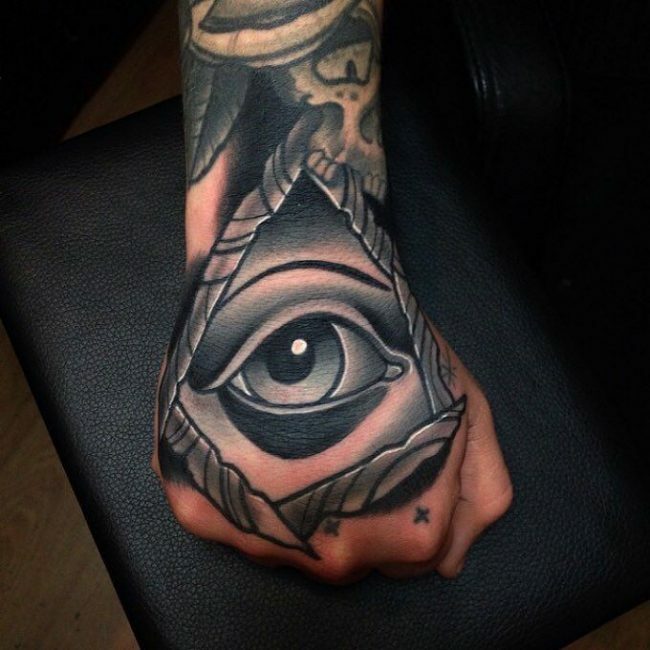 Some of the popular designs of the All Seeing Eye tattoo are mentioned below. 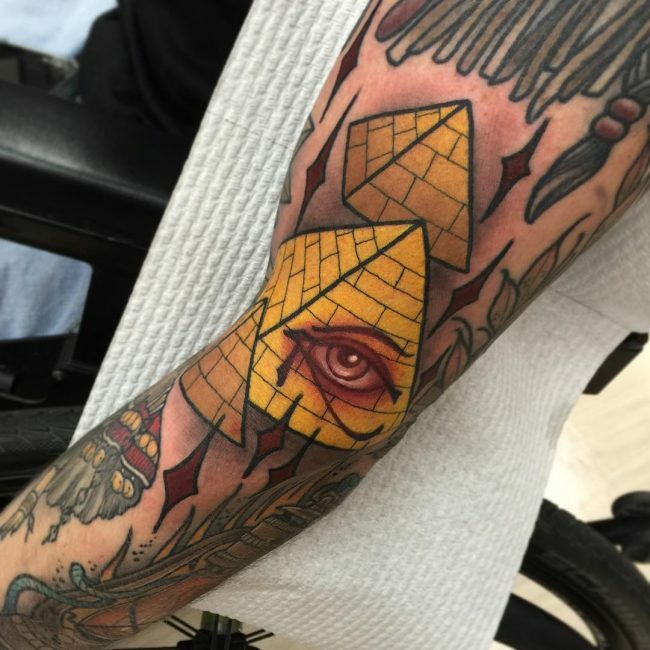 The eye is inside a 3D pyramid with the whole universe in the background. 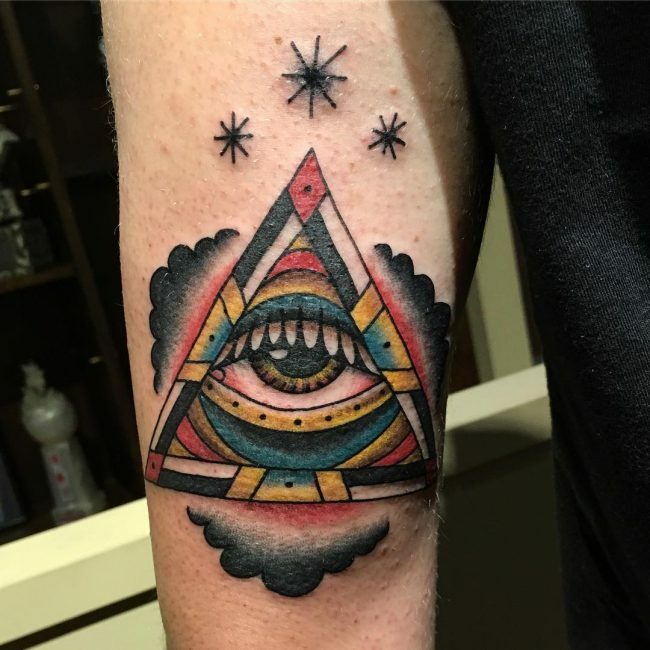 This color tattoo design depicts the real meaning of the tattoo of all Seeing Eye as it shows the eye looking upon the entire cosmos. 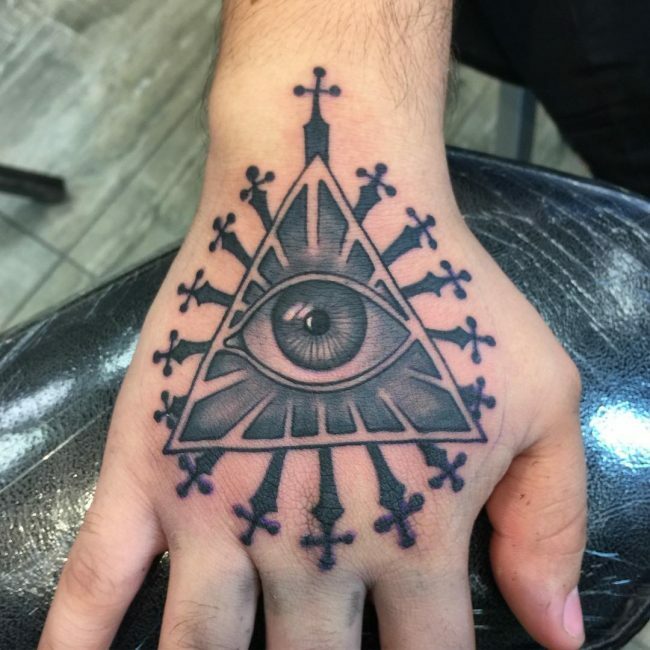 The dots are also being used to draw the symbol of the Eye of the Providence. 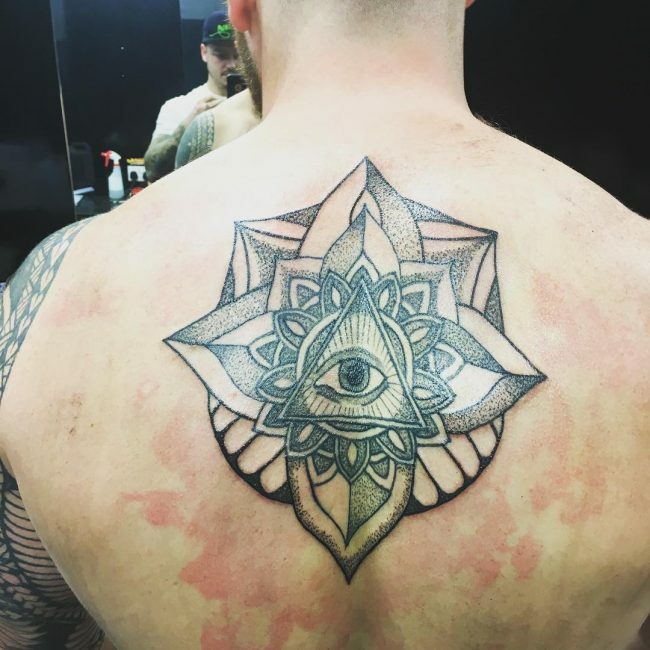 The tattoo is a conglomeration of a number of pixel dots that gives a digital appearance to the ancient image of the tattoo. 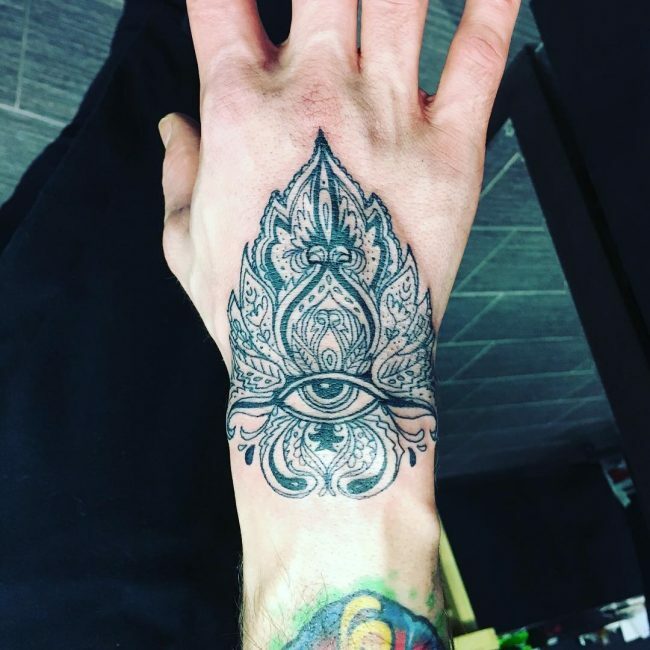 Another very common design is to have flowery decorations around the triangle that has beads all around it to form the decorative layer. 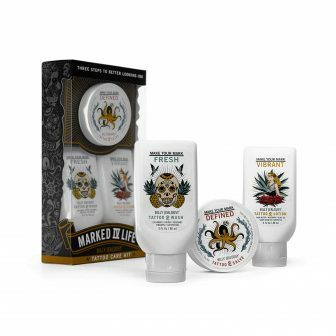 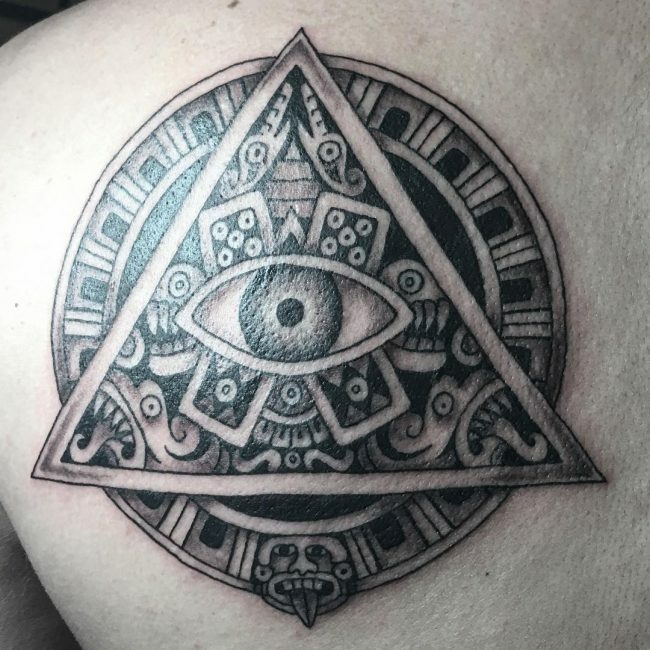 Aztec or Mayan influence can be seen in certain designs where the borders of the triangles carry signs and symbols that are generally seen on Mexican tattoos that are highly influenced by the Aztec tradition. 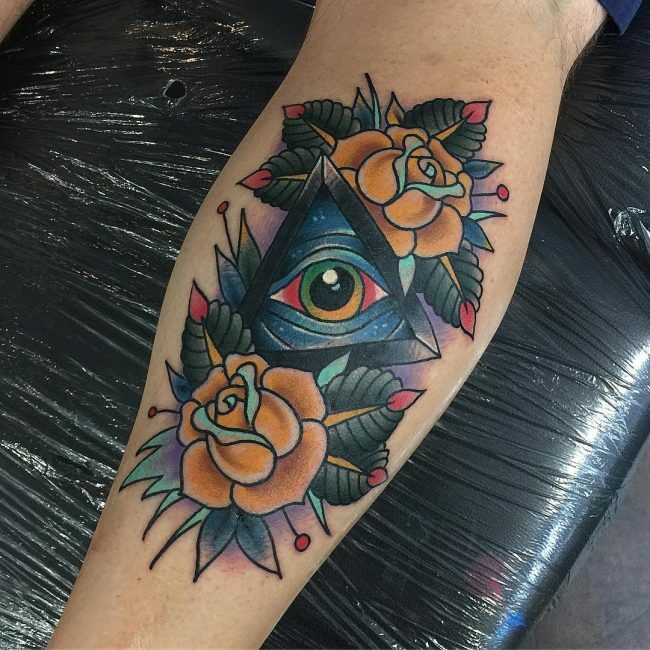 Another tattoo design that involves the all-seeing eye is where the triangle being placed amidst a floral or decorative pattern. 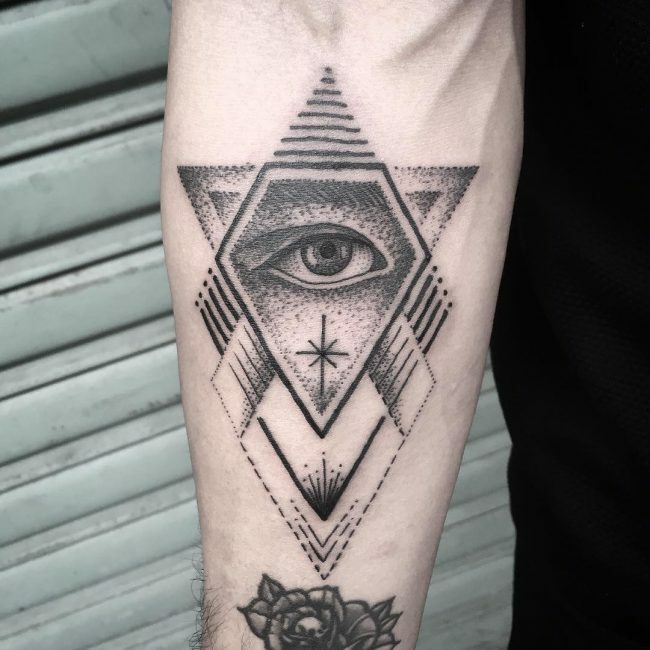 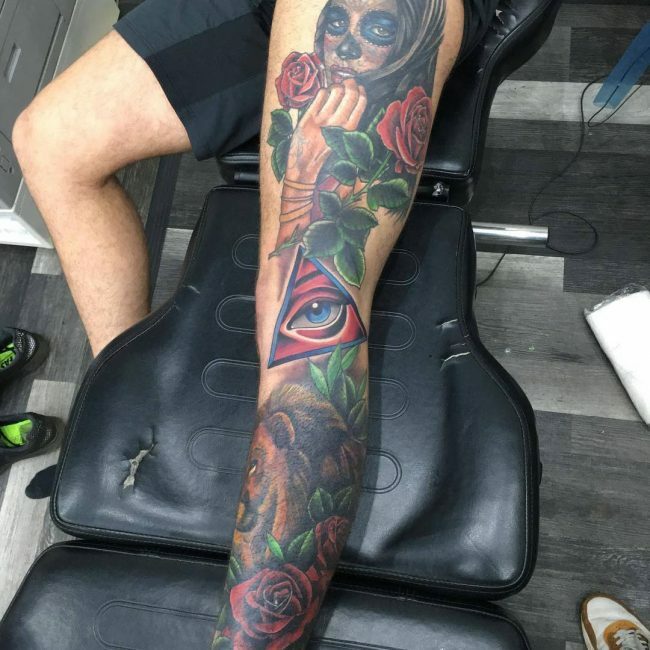 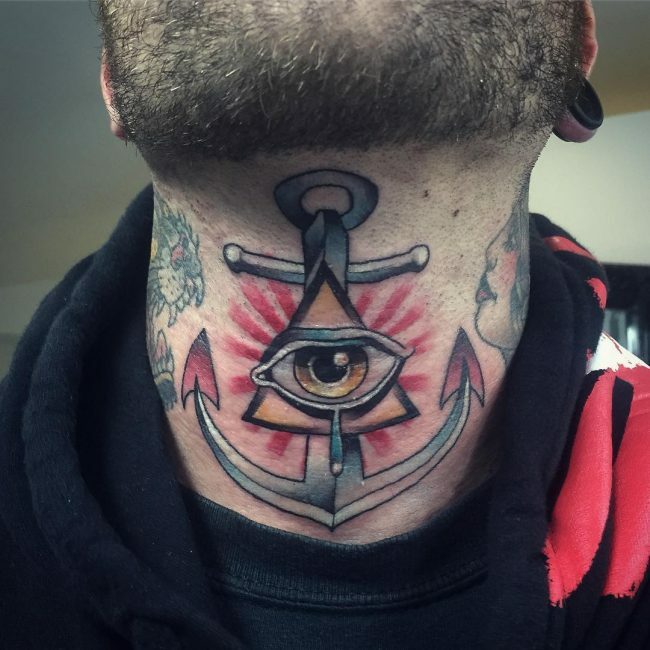 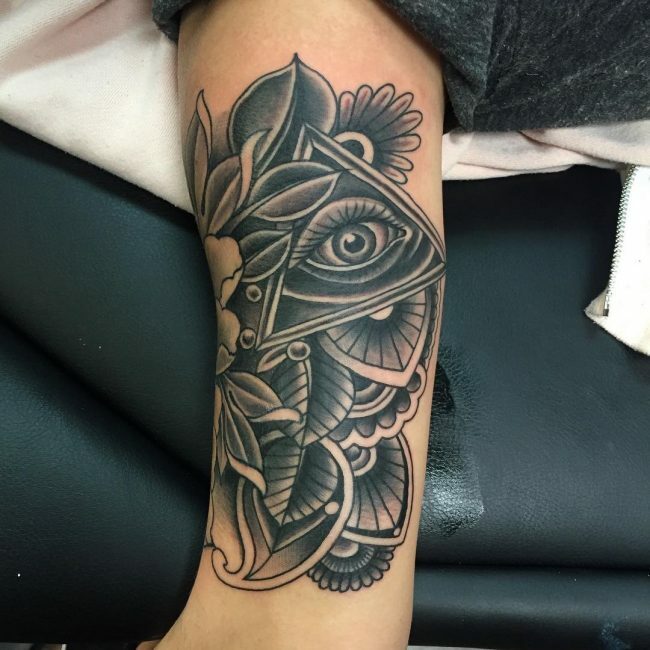 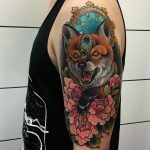 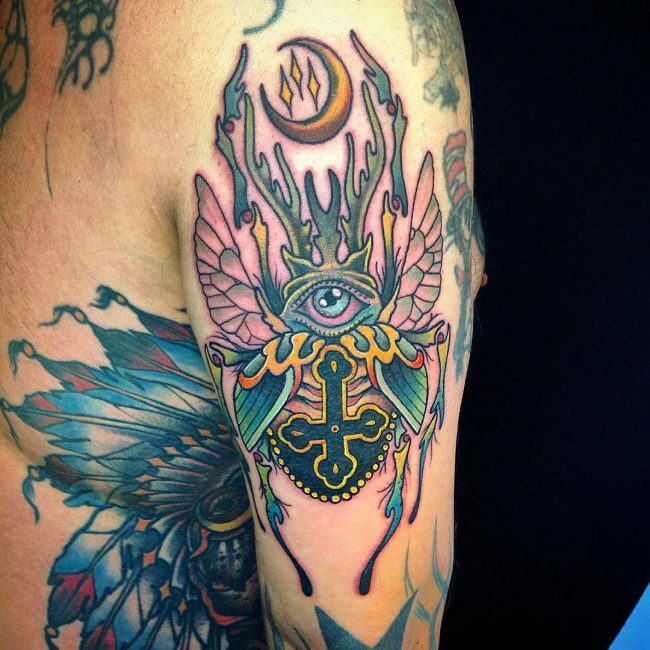 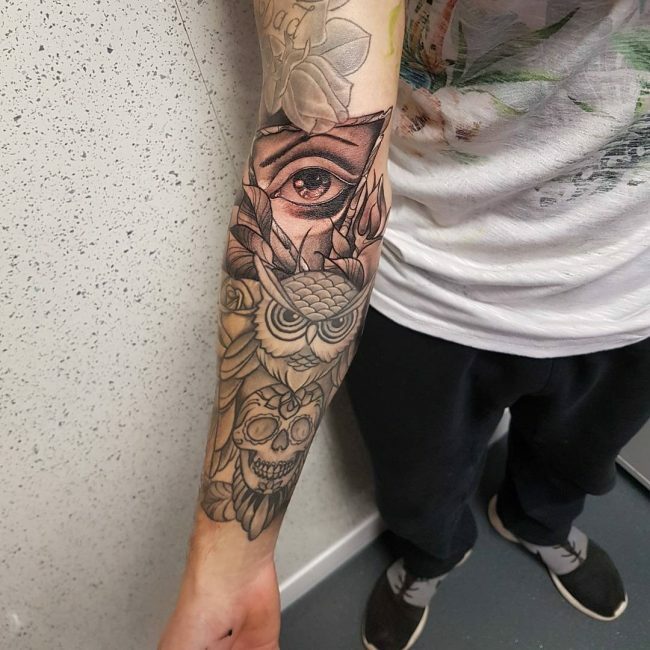 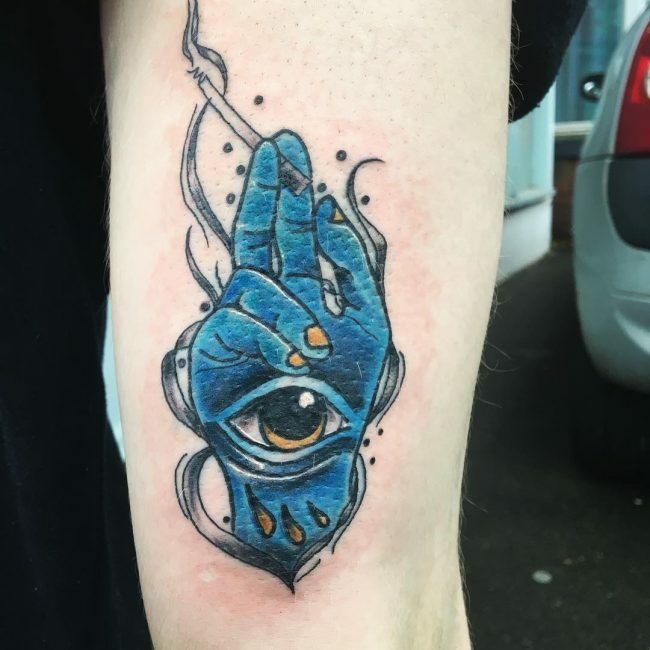 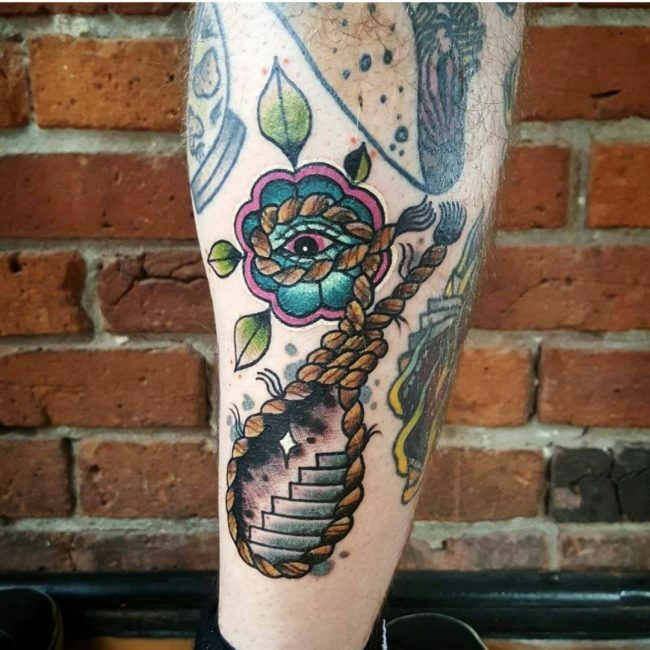 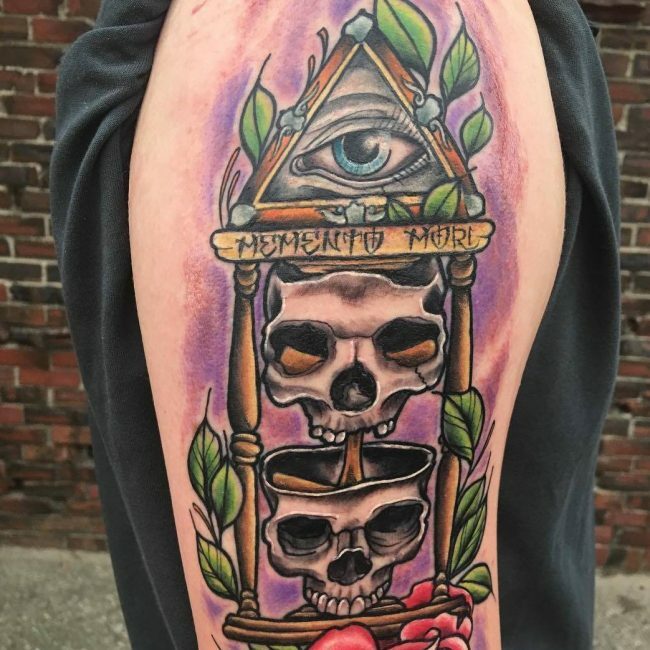 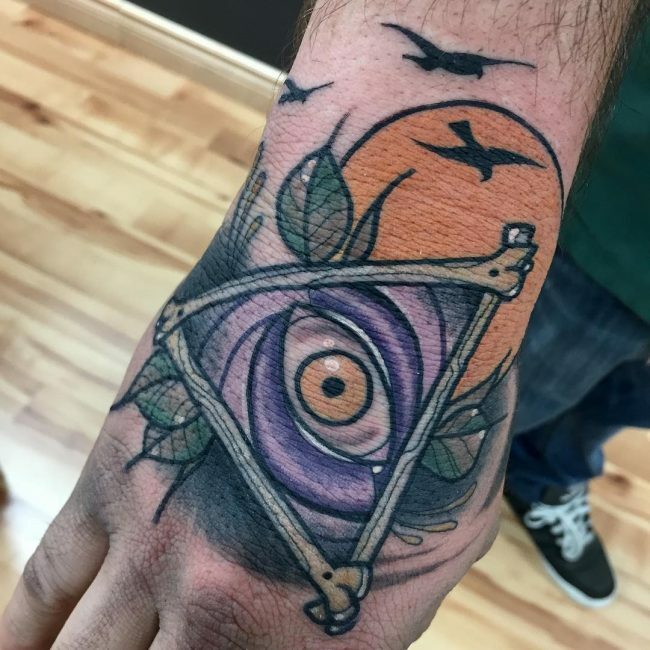 This type of design is usually used when the tattoo is colorful as that makes it look more vibrant and the image of the all-seeing eye gets more importance. 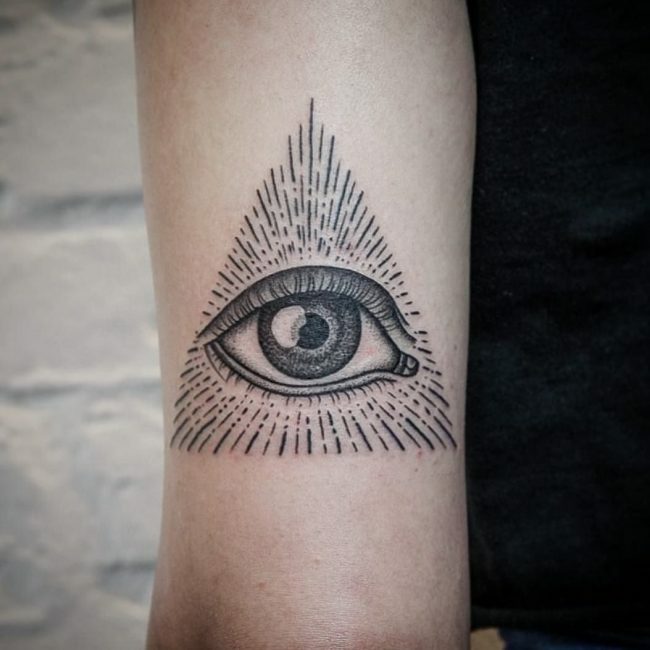 Image of the Eye of Providence with a watch in the background is another common design for the all-seeing eye tattoo. 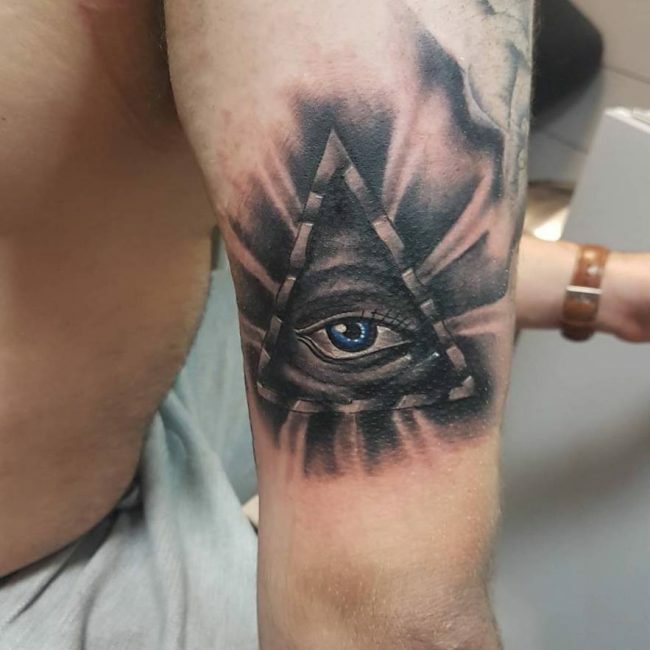 This represents that Almighty God has been keeping an eye on mankind since time immemorial and would be doing so till the end of time. 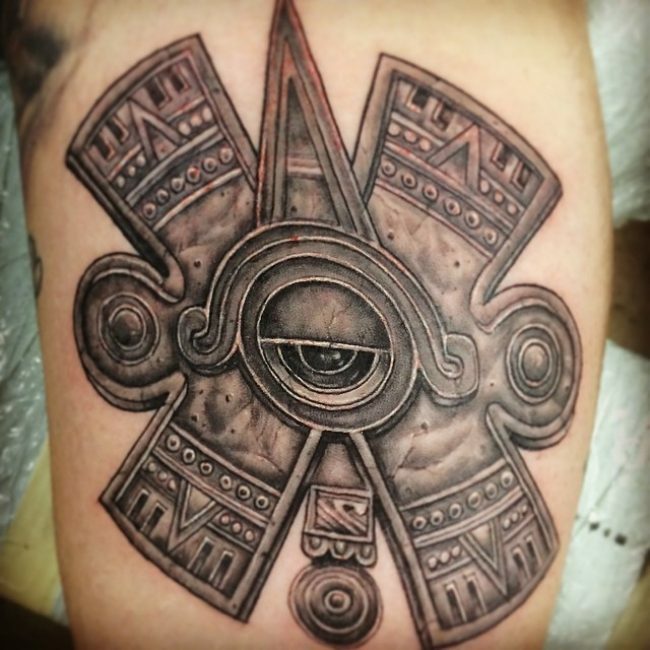 The native tribal people have also been using the all-seeing eye in their tattoos for ages. 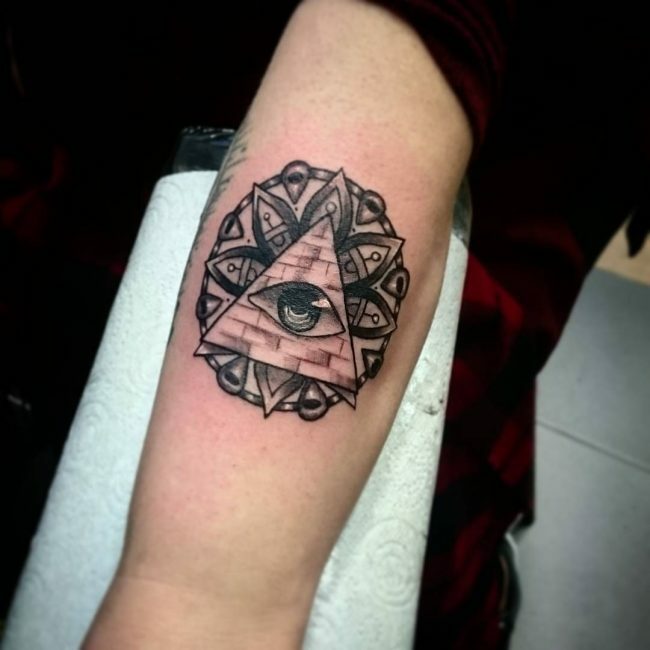 Their designs comprise of including the eye and the pyramid along with other natural objects like leaves, fire flames or other tribal patterns. 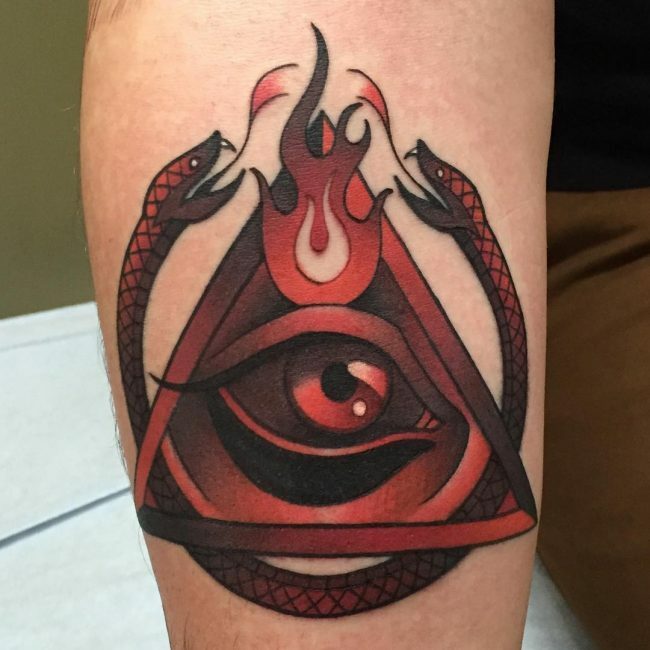 There are a lot of reasons to go for the all seeing eye tattoo, and everyone has their own opinion. 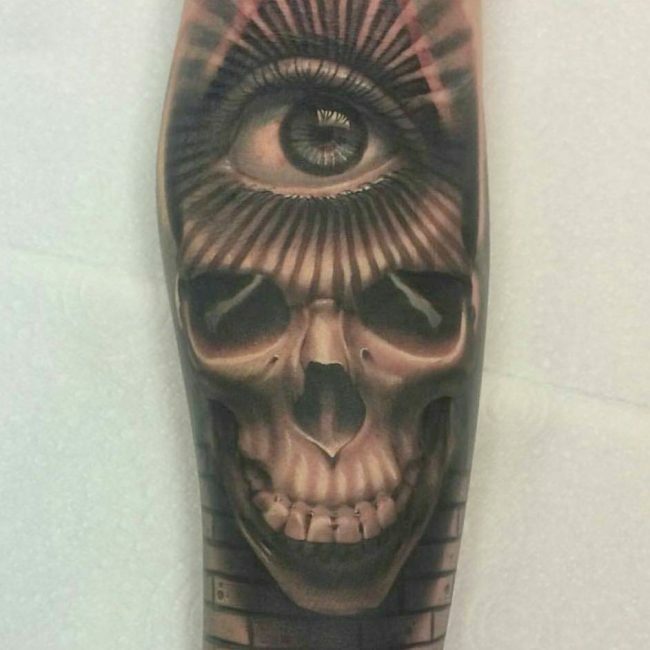 But one of the reasons that have made many people rather biased about getting one is the religious side. 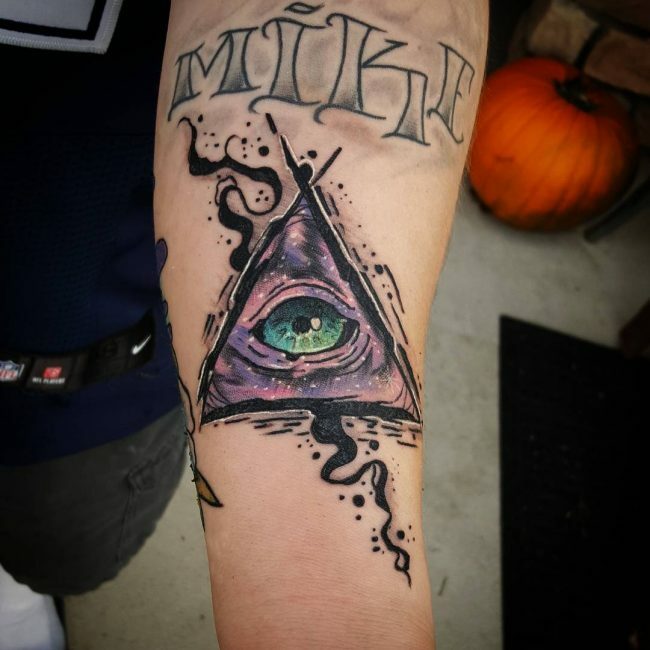 Many people actually consider the all seeing eye not just as a concept, but to be the real eye of the God. 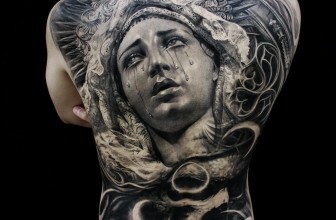 A few years back some images from the NASA had created enough turmoil, created a lot of buzz, and made many people react. 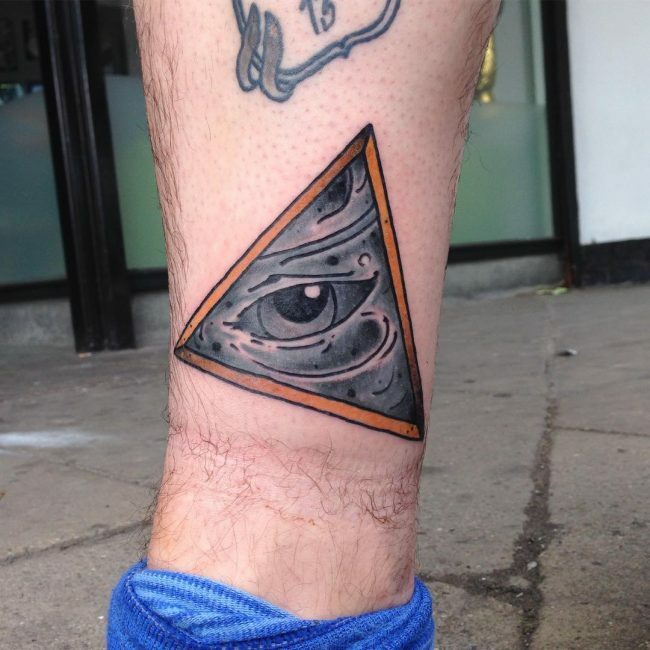 And it was of the All Seeing Eye recorded in the space or Universe. 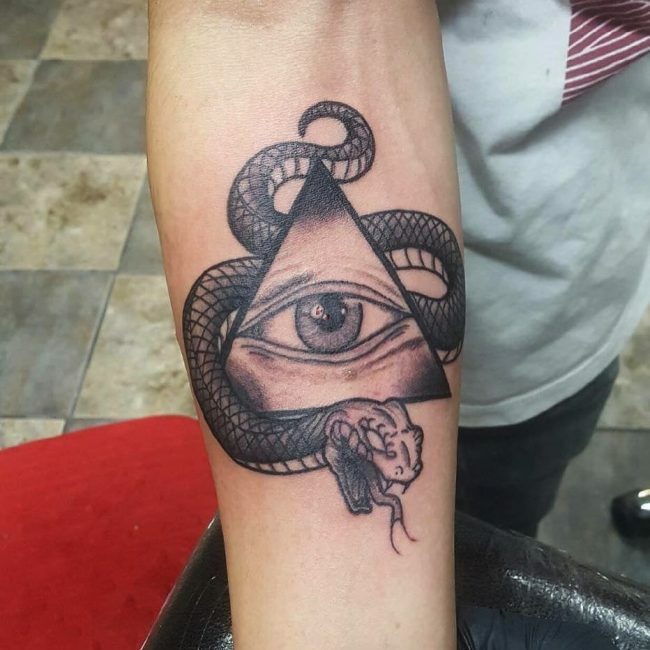 Some said it’s a strange picture of the Saturn, and some said it’s an eye formed by clusters of stars or some galaxies. 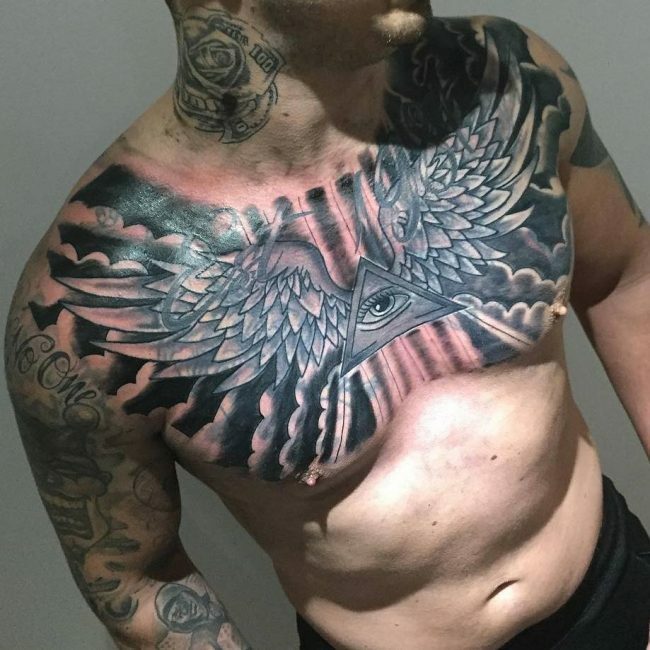 Confusion still goes on about what it was in real, but the pictures were actually taken, and believers think it’s the eye of the God, which they love to get on their body too as the all Seeing Eye tattoo, and the symbol of god. 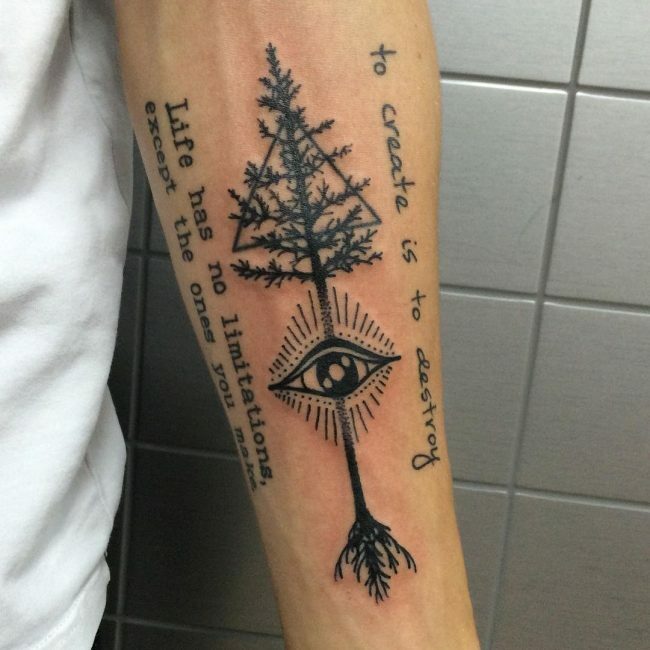 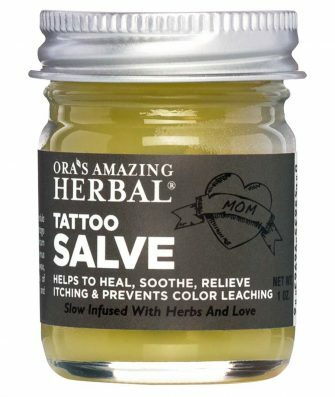 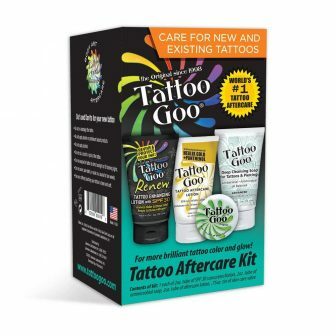 Whether you are a believer or not, one thing is for sure; that a tattoo will be with you forever. 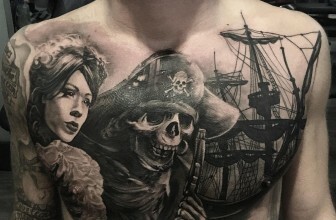 Many tattoo lovers say that you cannot take away anything with you in the final journey but the tattoo. 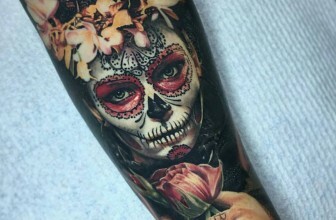 Let the tattoo stay with you as you live, and get burnt or buried with you as you die.